A few days ago a friend asked me what to wear to a boat party. 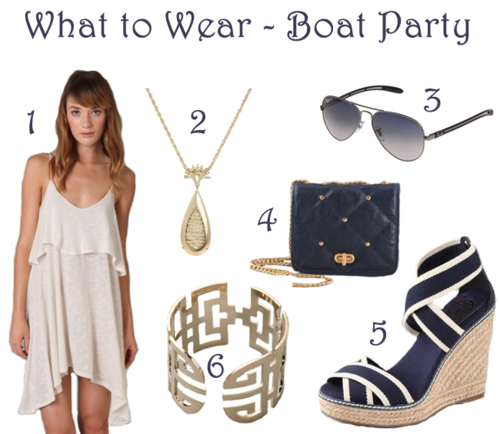 We’re not talking speedboats, but a cruise ship or party boat function, so you are allowed to get a little dolled up. I’ve always been a huge fan of the sailor look, so playing on that, I adore navy and cream, and greek-inspired silhouettes.